Whatever your moving needs may be, Meathead Movers will help you feel at home in Gilroy. Our professionally trained student-athlete movers and our moving concierge will be with you for the entirety of your move to Gilroy. 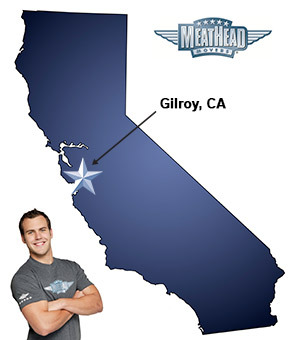 Welcome to Meathead Movers of Gilroy! If you are moving to or from anywhere in Gilroy, we are the moving company for you! Our professionally trained student-athlete movers and our move concierge service are here to help you with every stage of your move in Gilroy. Known as the Garlic Capital of the World, Gilroy is a fun and unique place to call home. Centrally located between Monterey, Santa Cruz, the San Joaquin Valley, and the San Francisco Bay Area, Gilroy is close to some of California’s best areas. Not only is Gilroy known for its garlic, it’s also known for its peaceful neighborhoods, award-winning parks, golf courses, an urban forest, excellent shopping, and even a family theme park. If you are considering a move to this fun town, Meathead Movers is here to help! Our moving company specializes in local, long-distance, and commercial moves to, from, and within Gilroy. We also provide reliable packing, storage, on-site relocations, and our distinctive moving concierge service, which connects you with local service providers. All our student-athlete movers are thoroughly screened and trained before their first move. With branches not just in Gilroy, but all throughout California, we are your one-stop resource for all your moving needs, no matter where your California move takes you. In fact, you can see what your neighbors in Gilroy have to say about us. With our 100% satisfaction guarantee, the only thing you have to lose is the stress that comes from moving! So contact us today for a free no-obligation moving quote and to learn how we can help you on your next move! Moving to Gilroy? Here are some helpful resources. great job. Guys worked hard and had great attitudes. They took care of our furniture and were very accommodating. The whole team was upbeat, friendly and professional. The price was far fair price. The movers had a very positive " can do" attitude despite heavy items and a multi level house. The blanket wrapping of furniture prevented any damage. The movers were on time and worked steadily with a lot of "hussle" The movers were emoyees and not "day labor". extremely helpful - from the very first contact via an email (which I got an instantaneous response) to dealing with my ever-changing move, to two wonderful guys who were so patient with my elderly parents.